AHWATUKEE, Ariz – A Marine veteran in Phoenix is outraged that someone would torch his American flag and leave the remnants in front of his home. 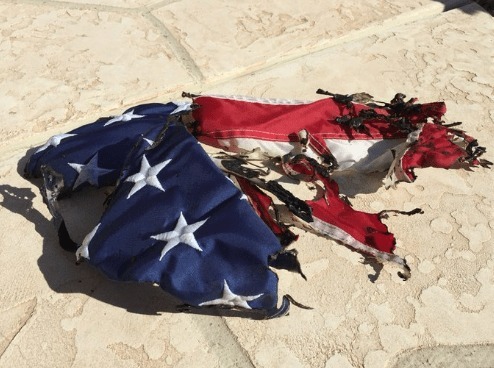 Brian Ellison found the burned remains of the flag in his driveway Wednesday morning, reported KPNX-TV. 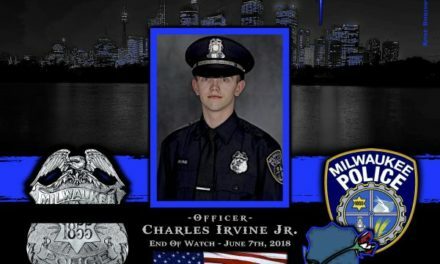 The flag had been attached to the front of his house, in what is described as a nice, quiet neighborhood. Ellison reported the vandalism to the Phoenix Police Department. 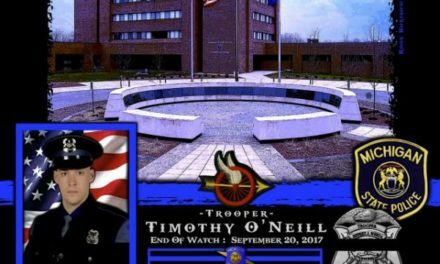 “He just was devastated that somebody would do this,” she said. “I want everyone in Ahwatukee to get their own flag and all of us stand proud and say this is not going to happen anymore,” said Lisa Ellison. Here’s hoping that Phoenix PD catches the culprit. If you have any information, call Silent Witness at 480-WITNESS.